New in LA financial district: InterContinental Downtown L.A.
One of LA’s biggest new openings of 2018 is the InterContinental Downtown L.A. The 73-floor structure is the tallest hotel west of the Mississippi. The 1100 feet – 335 metres – building offers 5-star InterContinental services as well as spectacular views of the city and the Hollywood Hills. Right in the middle of LA’s financial district, the InterContinental Downtown L.A. has 889 guestrooms, that stretch from the 31st floor to the 70th floor. The hotel’s main attraction is Spire 73 on the 73rd floor, the tallest open-air bar in the Western Hemisphere with 360-degree views. Another attraction is the Sky Lobby on the 70th floor. There are five dining options, besides Spire 73: the Lobby Vodka Bar & Lounge; Sora, featuring made-to-order sushi delivered on a conveyor belt; Dekkadance with its Neapolitan pizzas; La Boucherie, a high-end steak house with private dining booths. USA Today reports that the hotel is part of the billion-dollar Wilshire Grand Central in L.A.’s downtown financial district. It is a few blocks away from the Staples Center and L.A. LIVE. Image by InterContinental Downtown L.A. 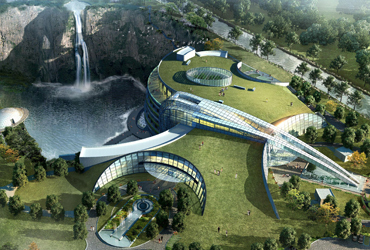 This autumn, Shanghai will experience the long-awaited opening of its first (partly) underground hotel. InterContinental Shanghai Wonderland. 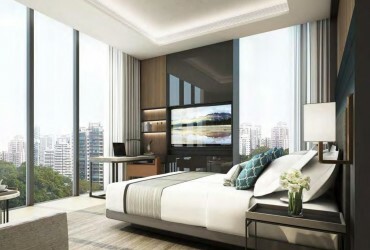 The new InterContinental Singapore Robertson Quay offers a new option in the popular, sophisticated neighborhood along the Singapore River. Hotels are introducing new technology that offers new comfort and service to business travellers. 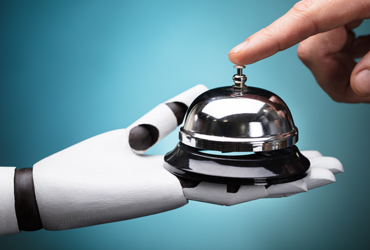 Many hotel chains are conducting tech pilot projects.